Bottles for Missions a Success! Today is Bottle Collection Day! Thank you to everyone who has donated their recyclable bottles to our Bottles for Missions. Since launching the collection, we have received over $2500! We want to thank you for continuing to support this initiative. The trailer is outside the Chapel entrance. We are a few days away from our next Thrive event! Join us Wednesday March 13 from 9-11am, to enjoy a latte ($3) and snacks and hear from Joan Johnson speak on Trusting God. We'd love to see you! Thursday, March 14 at 11:45am - 1:15pm. Leader Impact is a unique environment for marketplace leaders that couples great leadership input with a foundation of spiritual values and helps explore the relevance of faith in God in their professional and personal lives. 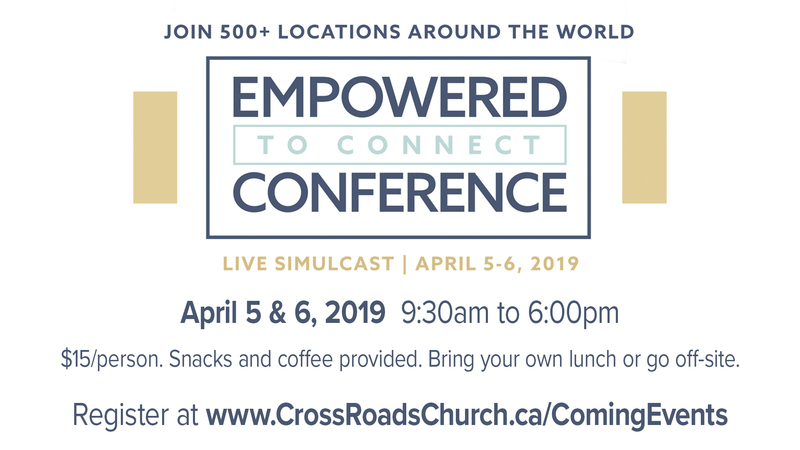 To register visit: reddeer-leaderimpact-forum-holsen.eventbrite.ca or contact Camille at CommunityLife@CrossRoadsChurch.ca. Please join us on Friday March 15 at 6:00pm in the front foyer. This month we will be focusing on improving our financial circumstances through sharing resources, tips and tricks for saving and smart spending. Dinner and childcare are provided on this evening. Please register ahead on the Moms Facebook page or call or text Laurie at 587-377-5206. Join us at the Duncan’s Farm in Innisfail on Saturday, March 16 at 7:00pm. Cost: $3. You’ll enjoy hearing testimonies by a fire while roasting s’mores and sipping hot chocolate! Please RSVP by text to Twilight @ 780-228-8282 or email taylorgt@telus.net for more details. This is our first 56er Family Event of 2019! On Saturday, March 16 at 5:30pm, join us for an evening of fun and food in the Youth Centre. Supper is provided and Pastor Jordan will be hosting! This is for you and your 56er only; no siblings. Visit our K-6 page to register before March 13. 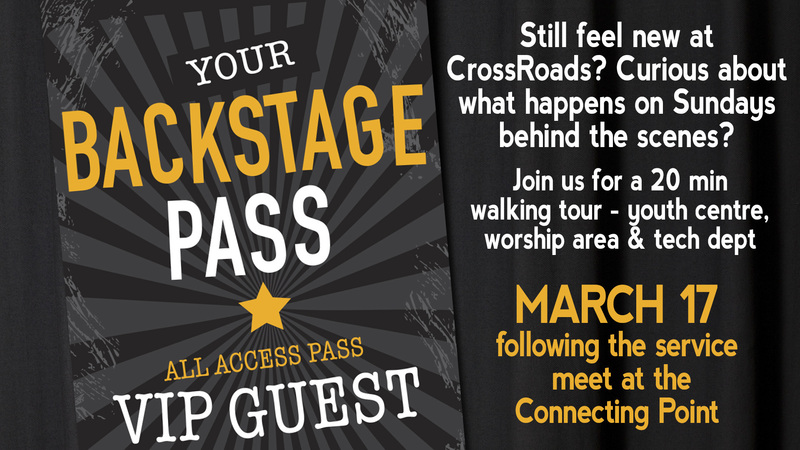 Back by popular demand: it’s the ‘Backstage Pass Tour’ on Sunday, March 17. If you’d like to know more about our space (youth, worship and tech departments) than we’d love to show you! Please meet at the ‘Connecting Point’ after each service for a 20-minute interactive site tour. Sunday, March 17 at 9:00am, 11:00am and 6:00pm in the Chapel. If you are 3 years old (born in 2015), come with your parents and explore Prayer. There will be no regular classes for those born in 2015. Tuesday, March 19, 7:00 - 9:00pm - Theatre. Our denomination, EMCC, is forming a new strategy for their mission arm, World Partners. As part of this change, come hear from our national leaders as they present the proposed posture and strategic direction of World Partners, workers and development. This is your chance to understand and speak into this new direction. Breakfast Club Servers needed on March 12, 19 at Glendale School from 7:30 - 8:15am. Two people are needed on these mornings to prepare breakfast, visit with students and help with clean up. Big Brothers Big Sisters will be here on March 27 from 6:00-8:00pm in the gym for an evening of dodge ball and snacks. You are invited to come and join a great group of kids who are currently on a wait list for a mentor and spend the evening with them. If you have been considering mentoring in school or in the community or you would just like to make these kids feel welcome at CrossRoads and join in the games please come out. 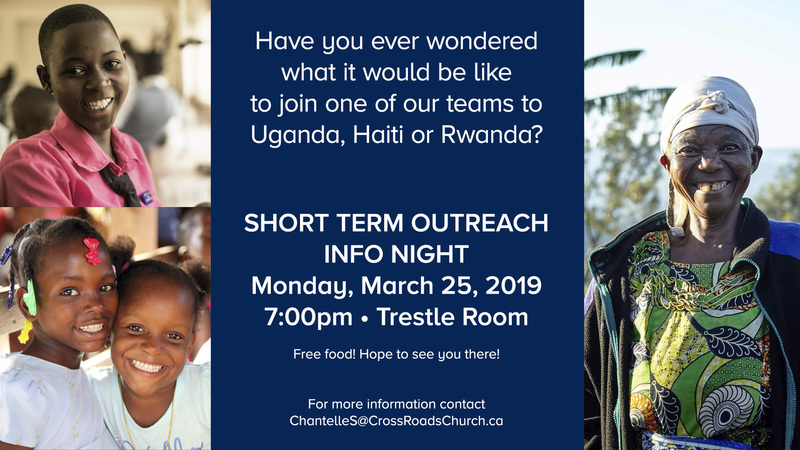 For more information on either of these opportunities and to register for March 27 email LaurieW@CrossRoadsChurch.ca. 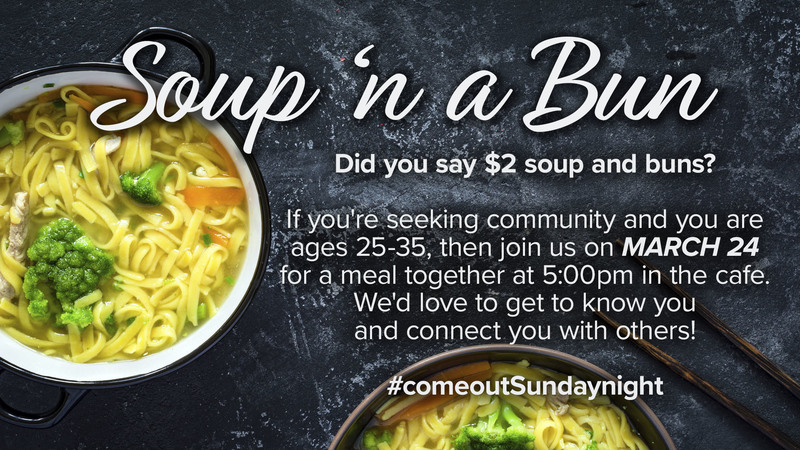 Sunday, March 24 - It’s only $2 and a chance to meet or re-connect with people within the 25-35 age category. Join us before the service at 5:00pm in the cafe and enjoy some homemade soup! Want to Serve our Littles in Infant Care and Pre-K? We invite you on Sunday, March 31, to join us for our mandatory Plan to Protect Training. This will be in the Trestle Room (located in the Children’s wing) at 12:30pm (right after the 11am service). A light lunch will be provided as we present our Plan To Protect policies. 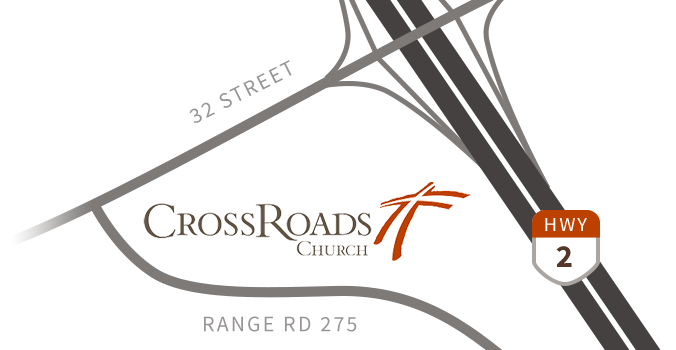 Contact Marcia at MarciaB@CrossRoadsChurch.ca for more information. Applications are available online or at the missions kiosk. For more info contact ChantelleS@CrossRoadsChurch.ca. Do you love to organize? Prefer to Serve behind the scenes on your own schedule? We need you! We are looking for Infant Care restocking/organizing team members. We would love to have you join the team. 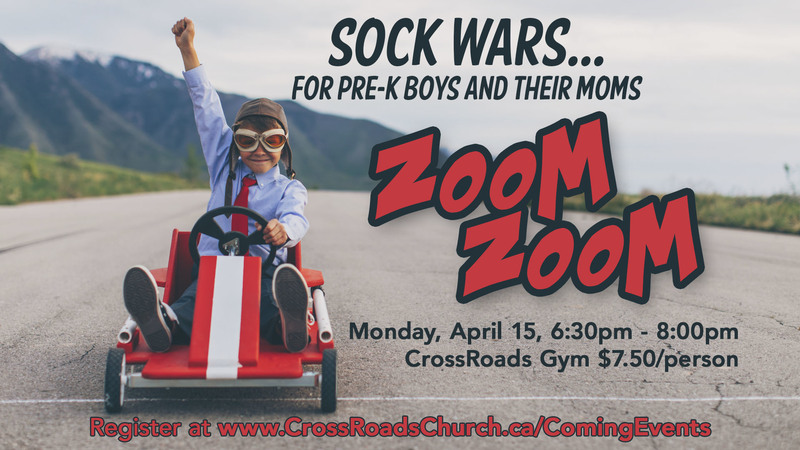 Please contact Marcia at MarciaB@CrossRoadsChurch.ca. During the season of Lent, consider joining us on Fridays in practicing specific fasts. You may want to join for just one, or maybe for all of them. 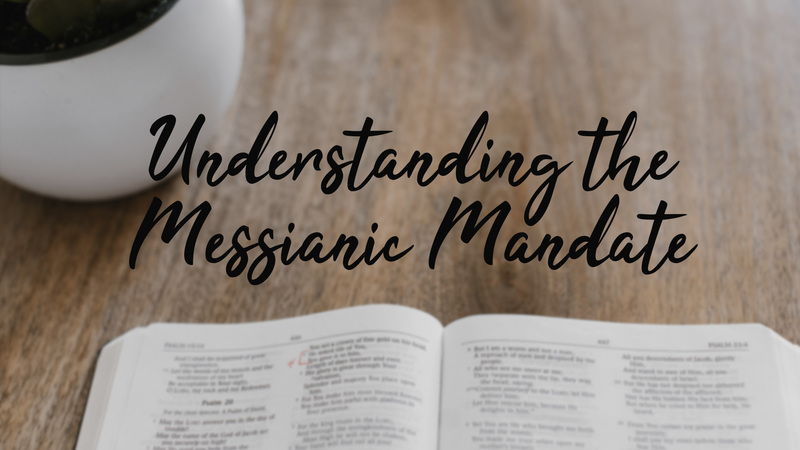 We enter into this, not as a way of punishing ourselves or earning grace, but as a recognition that God is the one who supplies all of our needs. 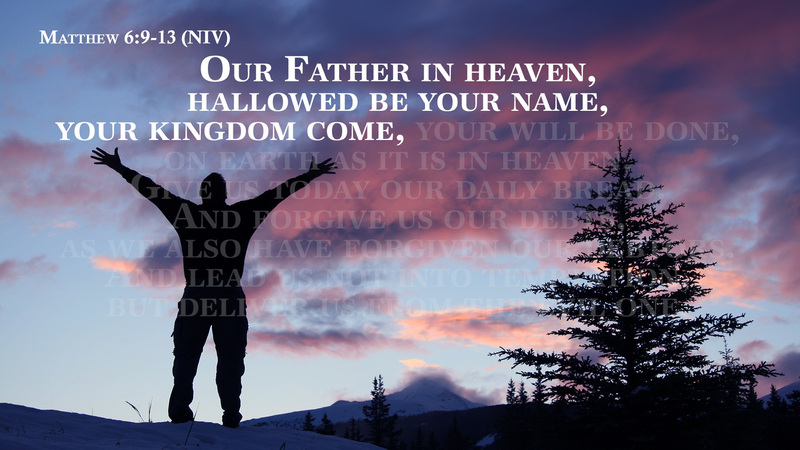 We rely on Him for every breath. It is in Him that we “live and move and have our being” (Acts 17:28). See below for our planned fast for this coming Friday. Friday, March 15: Except for bills you need to pay, decide not to spend any money today. (You could even extend this through the weekend if you like!) As you practice this today, think about the things you would have spent money on. Were they necessary? Is there a better way to use those funds instead? Consider giving money you would have spent to a worthy cause. Please join us in welcoming Dawn Larson to staff as the Assistant to Family Ministries! We are excited to have her join the team. Summer is drawing closer…can you feel it? We are looking for help to create spaces for anyone from CrossRoads who’d like to stay active this summer. It’s the perfect time to start up a group that walks together or prays together or runs together or bikes together or hikes together or gardens together and more! Let’s do a little creation care mixed with soul care at the same time. Curious about how to get started? Connect with us today and let’s make this the best and most active summer ever. communitylife@crossroadschurch.ca. https://form.simplesurvey.com/f/l/loneliness. The deadline to complete the survey is March 15, 2019.